This will be one of the most exciting experiences you & your guests will remember forever! I know how it feels when you have no idea where to start and what to expect. I have personally been in your shoes as a beach bride. It's become my passion to help create your own once-in-a-lifetime experience without the stress and uncertainty that I went through. Leave everything to us so you can focus and enjoy the wedding planning and celebration with your guests! 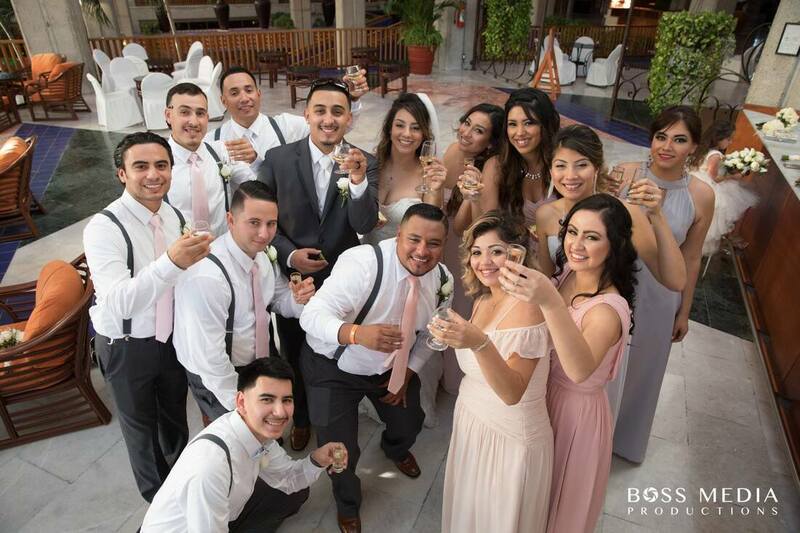 We specialize in group travel for Destination Weddings at all-inclusive resorts in Mexico & Caribbean (and at hotels of the islands of Tahiti). Complimentary consultation to discuss the process & identify your travel style, interests & expectations. Match you with the best options &/or destinations that best meet or exceed your expectations. Review other ideas or items to consider when selecting your destination, resort &/or date. Confirm availability of date & ceremony locations at resort(s), gather wedding package details, & obtain room rates, so you can compare & select your best option. Help explain the wedding packages & any hidden information you need to know to plan realistically. Discuss legal requirements vs. symbolic ceremony. Provide a timeline of planning options to keep you on track & organized. Negotiate the group room block contract & include group amenities (a minimum number of rooms is required for room blocks & differs by resort to receive group benefits). Deliver your wedding & room block deposits to secure your wedding date & group room block (where applicable). Create & email guest’s a Save-The-Date announcement with brief highlight & link to your group travel website. Offer advice & suggestions as you move forward with planning the wedding (pro/cons, effective tips when planning with the wedding coordinator, flying with your wedding dress, & more). Assist with coordination for any special group events or excursions. Coordinate honeymoon plans for after & work with hotel(s) to obtain honeymoon amenities. Assist with plans if you transfer to another resort after. Keep all guests booked under the group, informed of Due Dates, Destination Info, Packing Tips, Resort Details, Any Group Parties/Events arranged, Arrival Instructions, etc… all they have to do is pack! Create weekly emails leading up to departure, relating to your group with important trip details, recommendations, tips & advice. I make sure everyone, no matter their level of travel experience, is familiar & comfortable with the travel plans. Mail travel packets to guests with travel confirmation, travel tips/recommendations, resort tips & more (including any special note or itinerary you wish to add). If travel plans get delayed, we are here to help everyone, as well as​, inform the transfer company & hotel of changes. View real client Destination Wedding photos on Facebook, along with our most recent resort inspections! ​Read: Top 5 Reasons that a Travel Agent can help make your Destination Wedding a stress-free reality! You seriously made our wedding planning so much easier. I love how we didn't have to stress about getting rooms booked and sending out reminders. Thank you so much for all the travel tips too! I would've never thought about many of these. You are seriously awesome!"